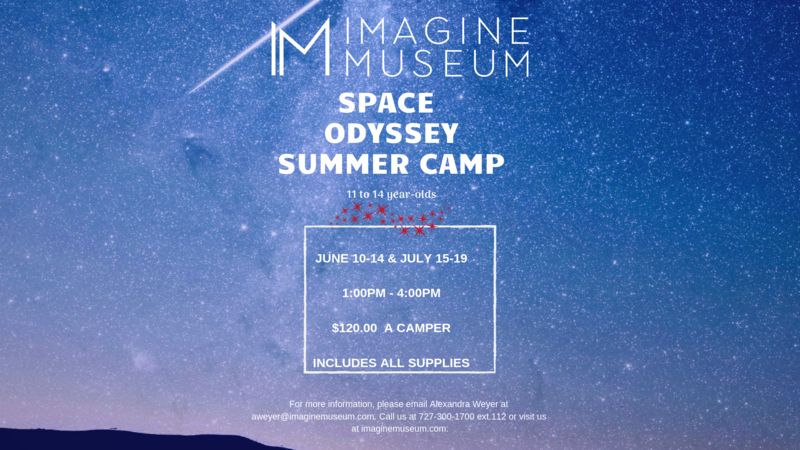 Ages: 11 to 14-year-olds Dates: June 10-14 & July 15-19 Times: 1:00 pm - 4:00 pm Fee: $120 per camper Create a pendant of key chain Use a 3-D Pen to create art Virtual and Augmented Reality Create with Modeling Clay Student Show at Imagine Museum! Includes all Supplies The possibilities are infinite! 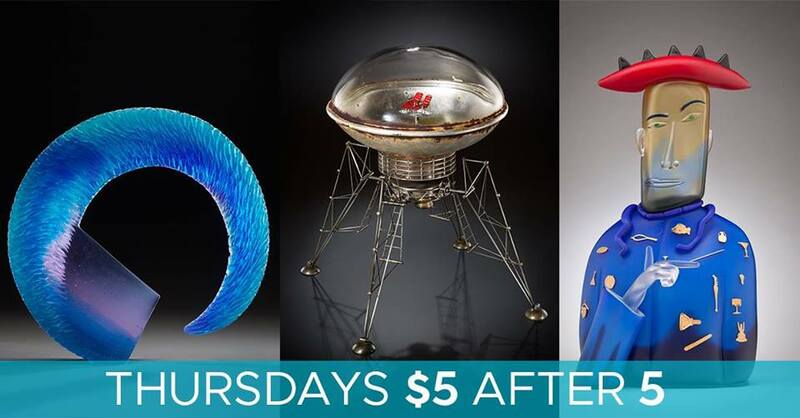 For more information, please email Alexandra Weyer at aweyer@imaginemuseum.com. Call us at 727-300-1700 ext. 112 or register online at http://bit.ly/SpaceOdysseySummerCamp. Ages: 11 to 14-year-olds Dates: July 15-19 Times: 1:00 pm - 4:00 pm Fee: $120 per camper Create a pendant or key chain Use a 3-D Pen to create art Virtual and Augmented Reality Create with Modeling Clay Student Show at Imagine Museum! Includes all Supplies The possibilities are infinite! For more information, please email Alexandra Weyer at aweyer@imaginemuseum.com. Call us at 727-300-1700 ext. 112 or register online at http://bit.ly/SpaceOdysseySummerCamp.